This book is an investigation of the cultural phenomenon of branding and its transformational effects on the contemporary spatial – and urban – reality. It develops a novel understanding of the rationale behind the construction of large-scale architectural complexes that relate to corporate brands, and of its tremendous cultural effects. The author suggests that what we see today is the creation of "global mass ornaments", of a thorough ornamentalization of the entire globe. The origins of this are discussed with regard to examples of corporate brand-building from Europe and China (Autostadt Wolfsburg, BMW Welt Munich and Anting New Town). Additional cases are several simulated spaces in Berlin and the space-branding activities of companies like Apple or Prada. Theoretically, the author develops an innovative poststructuralist framework, combining ideas from Gilles Deleuze with the space philosophy of Peter Sloterdijk. 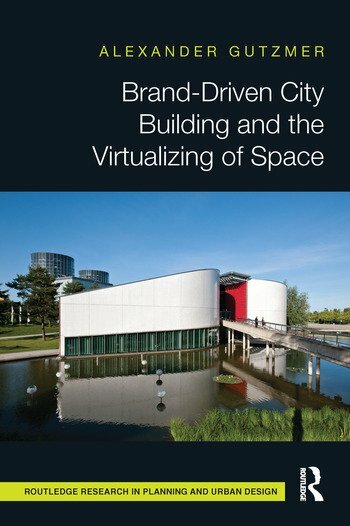 He analyzes how the corporate redefinition of space makes the city enter into a mode of virtual urbanity. This idea leads to a notion of a "global urban" and, ultimately, the "global mass ornament". This concept of a global mass ornament is developed here with reference to Sloterdijk’s concept of a world of "spheres". The latter is used to understand the new mode of spatiality of mediatized spaces. The book makes the point that our world is involved in a process of mass ornamentalization that has only just begun. The concept of the global mass ornament is the first to come to grips with a culture in which branding is effectively changing the physiognomy of the earth. The global mass ornament is a banner for a cultural transformation that employs architecture, sign theory and mechanisms borrowed from traditional advertising and from social media, as well as social processes – and that we have yet to properly understand. This book is a significant step forward in this respect. Alexander Gutzmer received his PhD and his MA in Cultural Studies from Goldsmiths College, University of London. He also holds a business degree from Berlin’s Freie Universität. He has worked as a cultural and business journalist for the last few years. He reported from London and Berlin for the German national newspaper Welt am Sonntag, and worked as Editorial Director for the Burda Creative Group, where he also edited a business magazine for the global consulting firm Roland Berger. He is currently Editor-in-Chief of the architecture magazine Baumeister, and Editorial Director of the publishing house Callwey. His academic interests include cultural and architectural theory as well as concepts and processes of communication and branding.